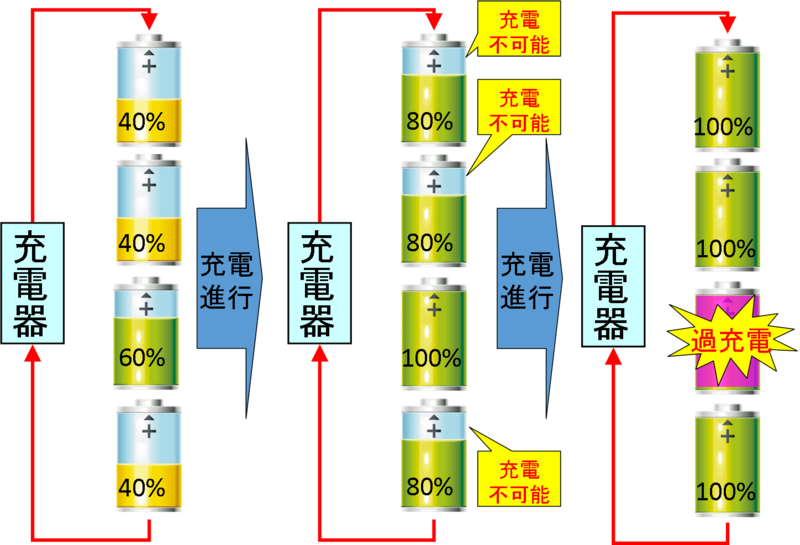 Cell voltage imbalance of series-connected energy storage devices, such as lithium-ion batteries and electronic double layer capacitors (EDLCs), is well known to trigger serious issues of over-charging/discharging, premature deterioration of the system as a whole, and reduced chargeable/dischargeable energies. 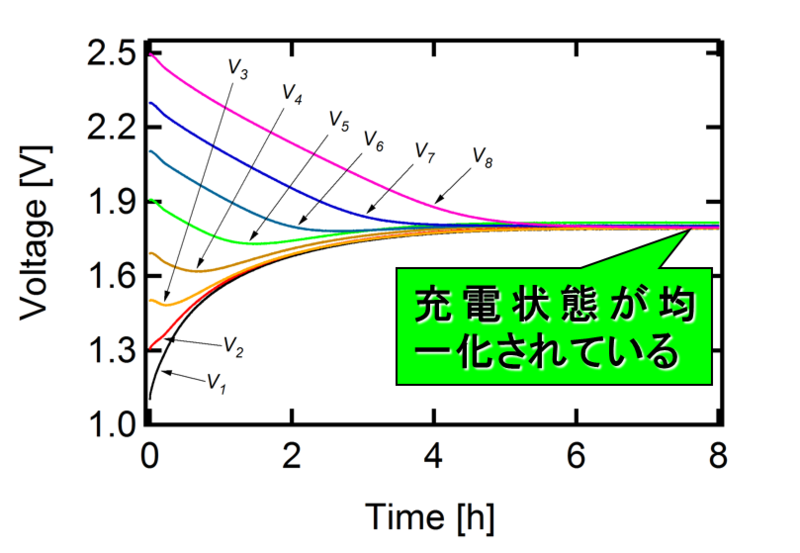 To elimiate the harmful voltage imbalance, cell voltage equalizers that redistribute energies among series-connected cells are employed. 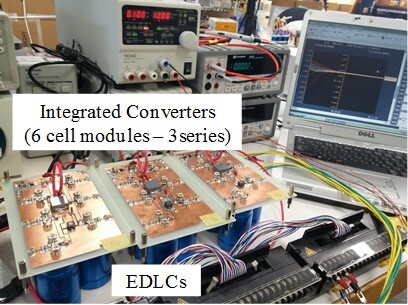 Conventional cell voltage equalizers, however, require numerous switches in proportion to the number of cells connected in series, meaning their circuits are prone to complex and costly. 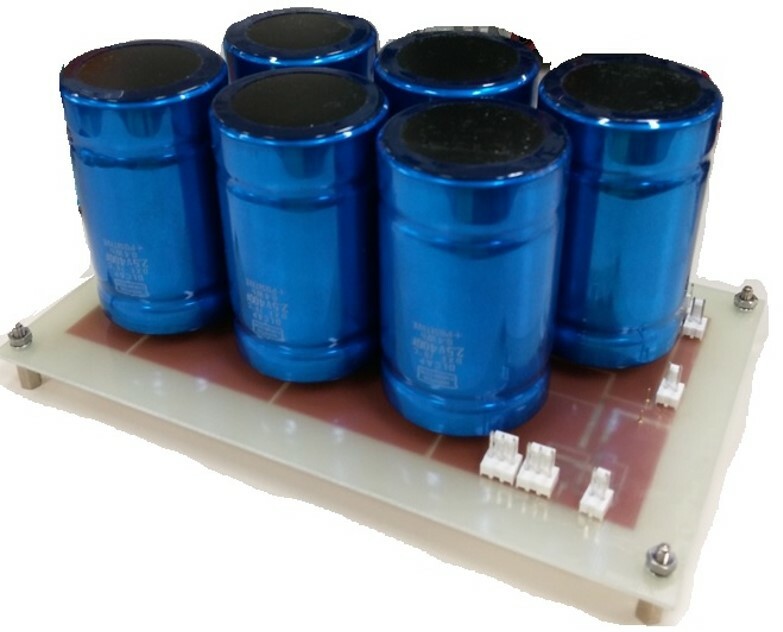 Recent energy storage systems sometimes demand tens to hundreds of cells to be connected in series to meet voltage requirement, and therefore, cell votlage equalizers containing only a few switches are preferable. 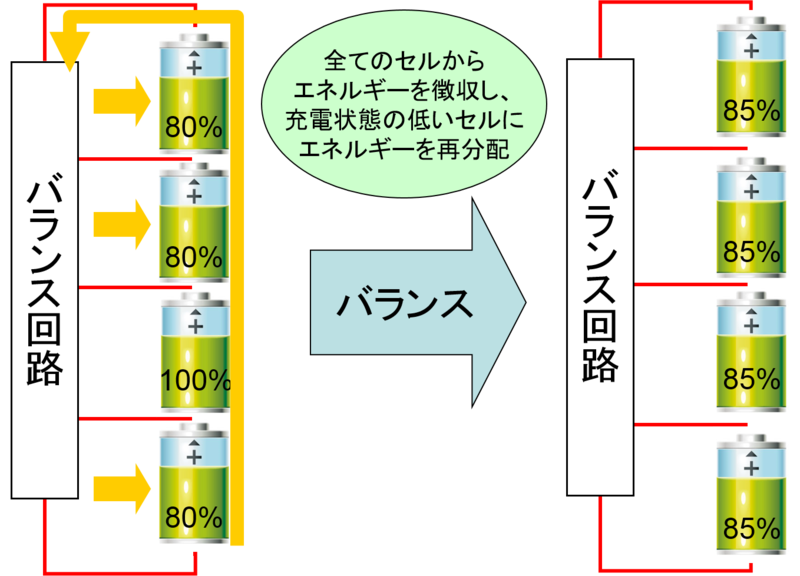 We propose novel cell voltage equalizers that contain only a few switches or even no switch. With our proposed equalizers, not only is the circuit dramatically simplified but also feedback control loop can be eliminated because of their automatic voltage equalization mechanism. Some of our proposed voltage equalization techniques have already been commercialized.